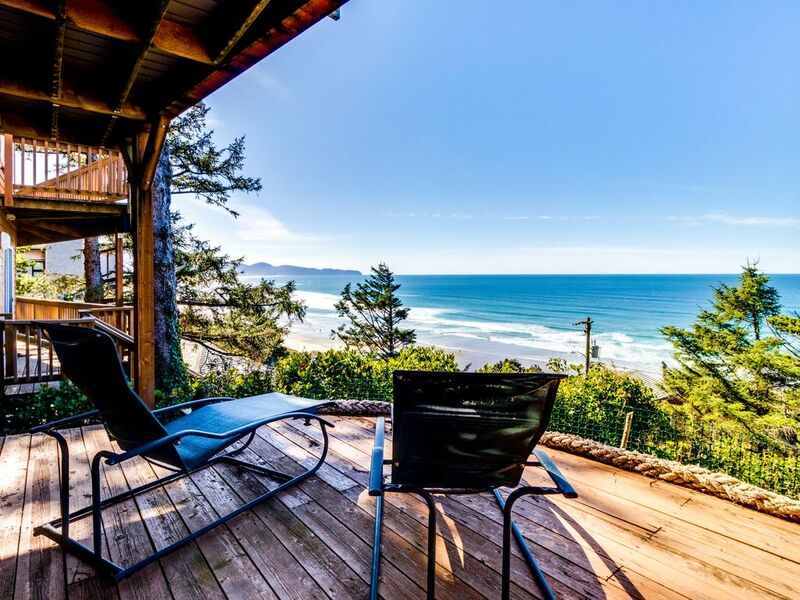 The location is amazing and the house has everything that you need for a stay at the Oregon Coast. It’s both stylish and comfortable and really made our trip down to Oceanside. Lovely spot with a great view of ocean and nice privacy. Tastefully decorated with well equipped kitchen. We will return. The view from The Crows Nest is gorgeous!! The home is set up nicely, as well. It has a retro homey feel to it. Love it!!! The view is incredible. Watching it change over the course of a weekend was a wonderful way to unwind. I lost hours doing so. The home itself is perfect for 2 people, packed full of amenities, comfy beds, good shower pressure and a cosy couch to recline on and watch TV or the view outside your window. A short walk down to the beach, this place was awesome.